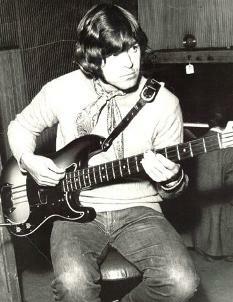 Auditioned as a temporary replacement for Pete Quaife on Thursday 9th June 1966 at Carling Music, Savile Row, London. Appeared on Top of the Pops on the same evening at BBC Television Studios, London. 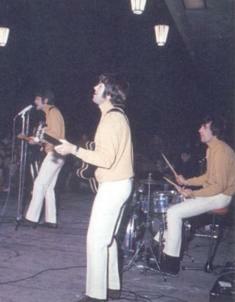 The first live gig was two days later at The Plaza, Kings Heath, Birmingham with no time for rehearsals! This was quickly followed by a tour to Norway and Spain. The first recording session was on 26th June 1966 at Pye Studios, London for "Little Miss Queen Of Darkness". Recorded "Dead End Street" on 28th October 1966 during the evening session (without Shel Talmy !). 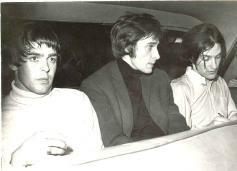 Many tours followed until Pete decided to return to the Band. Back as a a full time member on 5th April 1969 for a TV show "It's Dee Time". Whatever happened to Simon Dee ? First recording session in this second spell was in May 1969 at Pye Studio #2 ("Drivin" and "Mindless Child Of Motherhood"). Spent most of June recording the "Arthur" album. 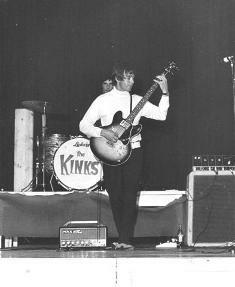 My first (eagerly awaited) American Tour started on 17th October 1969 at The Fillmore East, New York. The tour lasted nine weeks and included places like The Whiskey A Go-Go in Los Angeles and The Fillmore West in San Francisco. Early in May 1970 saw the arrival of The Baptist (aka John Gosling) on keyboards. His audition was playing piano on "Lola" (not a bad song to have as your first recording !). Baptist was then whisked off on his first tour of America where he was quickly taught how to consume large quantities of ALCOHOL (which he is still very good at today). We spent most of the summer of 1976 rehearsing and recording "Sleepwalker". I left the band on 8th November 1976.